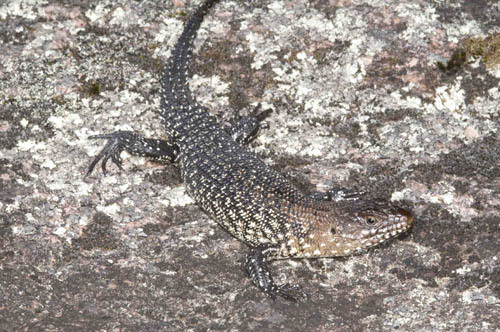 We know this is short notice, but the combination of a positive outcome in the latest funding round from the Australian Research Council and the availability of Macquarie-funded PhD scholarships for domestic students means that there is an opening in the Lizard Lab for a hard working, motivated PhD student to work on social intelligence in Egernia skinks with Martin Whiting (MQ) and Richard Byrne (St. Andrews). early evolution and complex relationship between cognition and sociality. MQRES scholarships include an Australian Postgraduate Award equivalent tax-free stipend of $23,728 pa in 2012 (indexed annually) and relocation allowance of $1,000. Students on scholarships are not obliged to contribute to teaching, but may do so to supplement their income if desired. In the Department of Biological Sciences, up to $20,000 is available to cover direct research expenses of each PhD candidate, and schemes from the Faculty of Science and Macquarie University Research Office are available to support travel to visit overseas laboratories and to attend international conferences (up to $5,000 per application). Applicants should have completed research qualifications equivalent to a four-year Australian Bachelor degree with First Class Honours.